BeerTools Discussion Forum • View topic - Risk of oxidation or not? Risk of oxidation or not? I just transfert my hobgoblin clone to the secondary and wish to know if I've a risk of oxidation with the air space? It's best, if you use a secondary, to find a container close to the volume of the beer. For example, I put 5-5.5 gallons into a bottle that can contain 5.5 gal. There is usually still some small amount of fermentation going on in secondary that may fill up the space you have, or at least leave a blanket of CO2 over the top of the beer. You might want to consider keeping the secondary short and cool to reduce oxidation. Also, if this is the only container you have, be aware that you can skip the secondary entirely for this type of beer. You don't really need a secondary for most ales, unless it requires a long aging or you want it to be crystal clear. Too many times we get overly concerned in our brewing procedures. You know that a large head space without CO2 can prematurely stale your beer but based on the equipment you have, you do what you can. You didn't say how long you primaryed or how long you plan to secondary. In the future you may want to transfer to the secondary early while you still have activity in the air lock so that the beer will be protected by a CO2 barrier. An alternative it to flush the secondary with CO2 prior to transfering. Not everyone has a tank of CO2 laying around though. It is critical that when you transfer, you avoid splashing or any activity that would allow excessive contact with air. CO2 is heaver than air so there is a posibility that you do have a "blanket" protecting your brew. Relax... I am sure that it will be fine. Thx for your feedback. I transfer to the secondary after 5 days. I've transfer when the activity with the bubble slow down. But now after 1 day and half, always no activity in the airlock. I know that I must find a carboy glass near my volume.... but now I dont have one. How long can I keep it in secondary in this situation? Or must I bootling now? I just finish bottling my ale with 5gr/liter sugar. Thx for your advise. I will defintely buy a carboy glass of 20 liters next week. 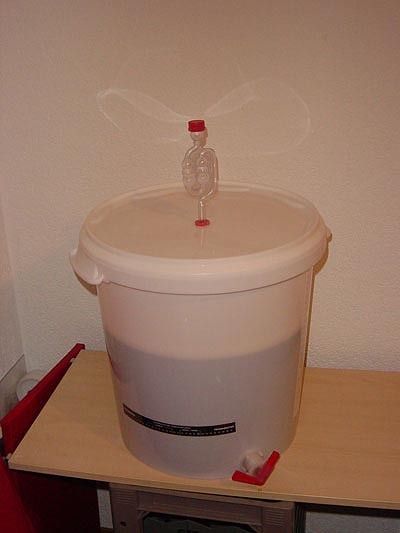 It is ok a 20 liters carbor for 19 liters of wort for the secondary or this is too small? 19L in a 20L carboy should be fine. The beer will release some CO2 and purge most of the O2 from the head space. Also, there is probably enough yeast activity in secondary to use up some of the O2. Depending on the yeast, bottling at 1.017 from a 1.051 beer is a little risky, unless you took gravity readings on a couple days and know that fermentation was complete. There may be enough fermentable sugar left in the beer to cause over carbonation or bottle bombs. You might want to put these somewhere they will not cause damage if they explode and leak. Maybe in a plastic container of some kind. After 2 days, always at 1017. I add only 5gr per liter. I've bottled once with a 1020 gravity with no problem. But you absolut right. I will see in one week how the bottle look like, but I think regarding the final gravity without move during 2 days should not be a problem. But I will buy this carboy glass and use it if I rak to secondary or let the whole stuf into the first fermenter. 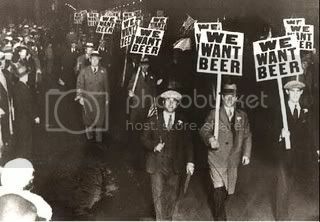 All home brewers have had a few batches that haven't turned out quite as planned or in the worst case been dumped down the drain. Every batch is a valuable lesson learned. Hopefully you are taking good notes. Everyone has given good advice. To reiterate, if your beer was fermenting at a reasonably cool temperature, there would have been some CO2 in solution from the yeast metabolizing the sugars into alcohol during fermentation. When you rack to a secondary, even if there is no more yeast activity, you will stir the wort and release some of the CO2 in solution. As long as you are not shaking the secondary or allowing air to pass over the surface (no lid), you should be fine. A few days will certainly not matter. You never said how long you had it in the primary (or did I miss that?). You can always rack it before all activity has ceased, but the yeast has mostly dropped out (the beer has mostly cleared). Personally, I do not use a secondary. I can rack my beer off the yeast cake and trub with minimal disturbance. My beer goes into a 5-gallon keg and is lagered for 2+ weeks to allow any remaining yeast to drop out. I blow a couple pints of beer with some yeast out, then it runs clear. Works for me, is simple, and does not degrade the flavor of my beer in any way. If I were bottling still, I probably would use a secondary. Yes sanitazation is the keyand on thisoint I'm maniac. jctull wrote: When you rack to a secondary, even if there is no more yeast activity, you will stir the wort and release some of the CO2 in solution. As long as you are not shaking the secondary or allowing air to pass over the surface (no lid), you should be fine. Hummm sooo I'm too anxious! I will write this down for the next time. Thx. jctull wrote: You never said how long you had it in the primary (or did I miss that?). You can always rack it before all activity has ceased, but the yeast has mostly dropped out (the beer has mostly cleared). And yes, every batch I learn something new. This one was my 9th. I should have qualified my statement about leaving it in the secondary. The reason most people do their secondary in glass is because plastic is gas permeable. If you leave it in plastic for extended periods, oxidation can occur. I have know idea at what rate this occurs, but I do know that you want to use plastic if you are doing something like a lambic or Flanders sour because you do want some gas exchange to occur over time. What does oxidized beer taste like? Just out of curiosity, is there some characteristic flavor associated with oxidized beer? I brewed a California Common, although I was not able to keep the temp down to the recommended range (I fermented at about 65-68F), but I detect an off-flavor that I have never had in any of my other beers. I can't think of any reason why it would have become oxidized, or any hot-side aeration problems, and the temp is the same that I use for that yeast in other beers, but it has a very subtle distinct flavor that reminds me of something like cigarette ash -- like I had dipped an ash tray in it or something. It is drinkable, but I would never offer a sample to anyone. I just don't know what might have caused it, but I'd like to avoid it in the future. Most of my brews come out pretty good -- which tells me that I am doing things right for the most part -- but this California Common is a big disappointment. I didn't write it but did some web searches. Oxidation effects beer flavor in a few ways. The most unpalatable occurs mostly in light-colored beers: the formation of trans-2-nonenal. This compound, which is classified as an aldehyde, tastes like paper or lipstick (lipstick and paper actually taste quite similar!). It has a very low flavor threshold; as little as 0.1 parts per billion can be discerned in beer! The ash tray flavor is associated with black patent malt. I can't see you putting that in a califoria common so that doesn't help much. djavet wrote: After 2 days, always at 1017.